You want deck space, you've got more than you could ever want in this Quintrex 560 Coast Runner runabout. There is plenty of shade to with a full Height Bimini canopy with rear extension and removable clears to the screen also the is a Lowrance HDS Combo Gps, GME marine stereo, VHF Marine radio, Dual Battery system and more. 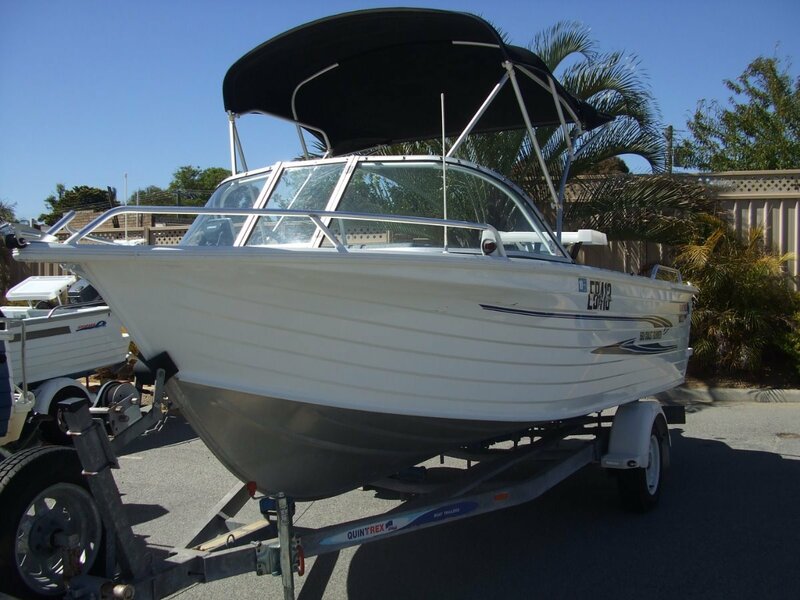 There is seating for 5 with a Rear lounge and plush helm seats and plenty of power from the Yamaha F115 Four stroke outboard to tow a Ski or tubes. A fantastic all-rounder offering great value. A very Tidy One owner package with a trusty Yamaha F115 Four stroke, what a combination.